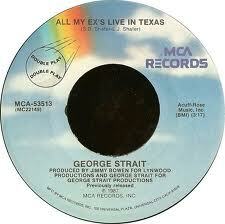 George Strait’s not a cad, but he plays one on the radio. You can almost hear the guy smirking as he sings this swinging hit, running down a list of jilted lovers from all over the Lone Star state. If they ever do a Strait tribute album, reserve this one for Billy Currington. Half of the vocal licks that make “Good Directions” and “Love Done Gone” so charming can be found here. Retro Single Review: Shania Twain, "I'm Holdin' on to Love (To Save My Life)"
Love. Always good for a chuckle! Interesting comparison to Currington – I had never picked up on that connection before. I agree on your point there. Billy Currington could totally own this song. Before this review I didn’t know the meaning of “cad”, so thank you Kevin. LOVE this tune! One of my favorite Strait hits and I love the jaunty swing the band brings to it.